Jaded Blossom: Easter Treat Gable Box! 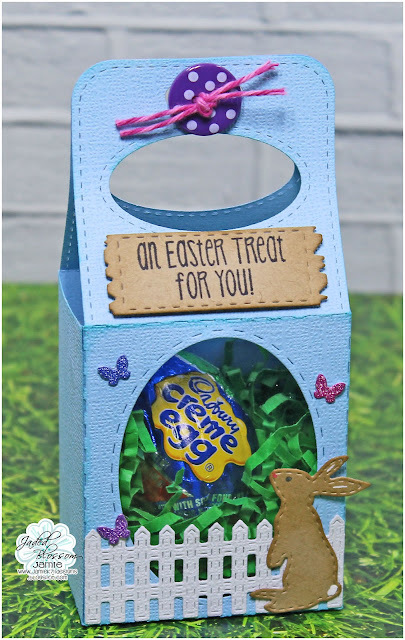 Jamie here to share a fun Easter Treat using the Gable Box Die! I started with the Gable Box Die and used a Stitched Oval Die to create the hole. Then I added the fence from Scenic Dies, bunny from Spring Dies and the tiny butterflies from Spring Banner Dies. Last I stamped a sentiment from Easter Treats 2 to a Fall Die.